5 SEO Tactics You Need to Stop | Get the Latest Online Marketing Trends in Web Design, Social Media, Blogging, and More. Nothing is static on the Internet. It’s a place of constant growth and change, where tactics for optimizing your website can change seemingly overnight. You’ve heard a lot about black hat versus white hat SEO, but now you’re going to hear about things that you really need to stop doing. Outmoded SEO practices can actually cost you, and may even hurt your reputation and ranking. Understand that SEO is not SEM. 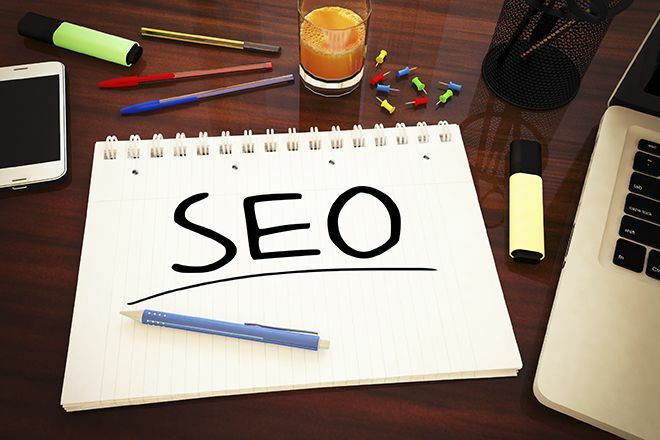 Search Engine Optimization is the use of keywords and content crafted to appeal to search engine bots in order to get your site indexed and ranked. Search Engine Marketing is the use of paid advertising to craft a campaign that will boost traffic and visibility, resulting in more conversions. Technically, you could consider SEO as a part of SEM. Stop stuffing every keyword you can into your page. Attempting to manipulate your pages rankings by stuffing in irrelevant keywords, repetitive phrases, and even telephone numbers could backfire in a huge way, and even see you completely wiped off Google – the most popular search engine. Google has had this policy in place since 2012, so there is absolutely no excuse for still doing it. All content is not good content. Mass-produced and duplicate pages with word salad and frequently searched phrases are not content. Original content is far more likely to be indexed and get better rankings. Duplicate content simply confuses the search engine bots, and will instead result in all those duplicate pages being indexed as well. One might think this is a good thing, however it can actually drive down traffic. Not all backlinks or inbound links are created equal. Anyone can purchase as many backlinks as they want, and the search engines know this. Building value from links depends on the quality of your links. Purchasing backlinking can actually hurt your website, resulting in penalties. All it has to do is strip an algorithm in the search bot that shows a large number of low-quality links received in a short amount of time. You don’t always need A/B testing. Using A/B testing helps to determine what works and what doesn’t appeal to people landing on your page—but it’s not a very stable experiment. A/B testing means that you can compare how two different versions of a page or email blast to different visitors, and which one gets the most conversions. Using A/B testing helps you to optimize your pages and site and make it more appealing, instinctive and reactive to a particular subset of your audience. While you can manage a lot of great SEO and SEM on your own with the right tools, there are times when you’re going to need someone with skills and experience to get you to where you should be. Remember, smart money is money spent for the greatest effect, and there are times when that professional assistance is needed. Think of it as a tune-up for your site that will keep things running smoothly even when the road’s a little rough. Are you ready to get serious about improving your search engine ranking? Fill out this form to get a free consultation from our SEO professionals.